Pros: Magnificent writing in this dark and comedic approach to death and morality. Cons: Performances occasionally fell a bit flat, but were generally flawless. Arch 468, Unity Theatre and The Albany present Dead and Breathing. This two person performance of morality, mortality and all of the twists and turns in-between truly takes you on a whirlwind journey. The Albany’s intimate and central performing space allowed the audience to engage and connect with the characters and the world that surrounds them. 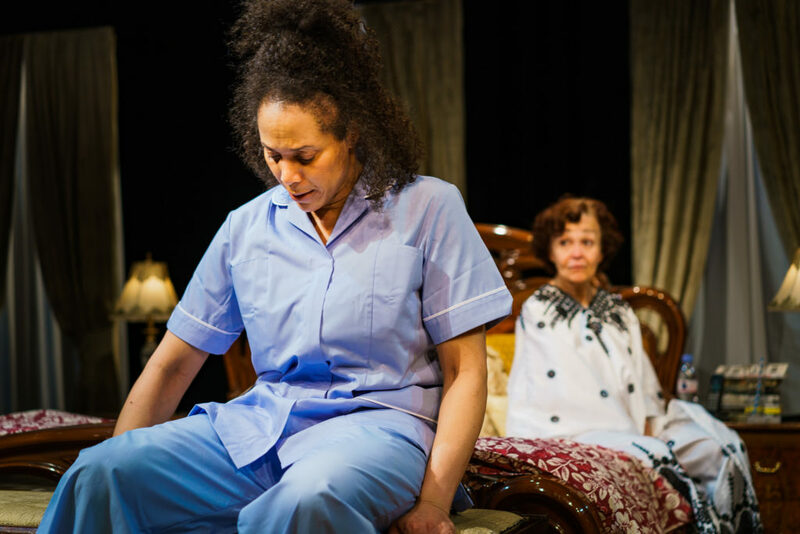 Beautifully designed and created, the story takes place in the lavish bedroom and en-suite of the very sick Carolyn. This is the setting that the wonderfully rich but incredibly bitter woman has chosen for what she hopes to be her timely death. Alongside her we meet Veronika, a young nurse and carer to Carolyn. Carolyn, alone but for the gruelling cancerous cells in her body, wishes to end her life as soon as possible with the help of her carer. But her wishes potentially fall short when she gets to know Veronika and discovers the carer’s devout feeling towards God, the Christian faith and the teachings of Jesus. Through getting to know one another’s crassness, bitterness and their moral sustenance a unique relationship is formed. This play really takes the audience through every peak and trough of both these characters’ lives. You are encouraged to consider life and death from different perspectives, and can’t help but think about how you would also react were you in their positions. The character connection between actors Lizan Mitchell and Kim Tatum was superb. Both the contrasts and similarities in personality drove the momentum of the play. Lizan Mitchell’s performance as Carolyn made you love and hate her within the same sentence. Just as you begin to understand the woman, Carolyn’s provocative attitudes towards others pushes you 180 degrees in the other direction. Her approach to the character was bold and exciting and it was an honour to see such dedication to a role. Chisa Hutchinson’s script is outstanding! Although heart-breaking at times, the writing was also totally hilarious. A true performance wherein you find yourself laughing at topics you absolutely should not be laughing at, or even considering as humorous. 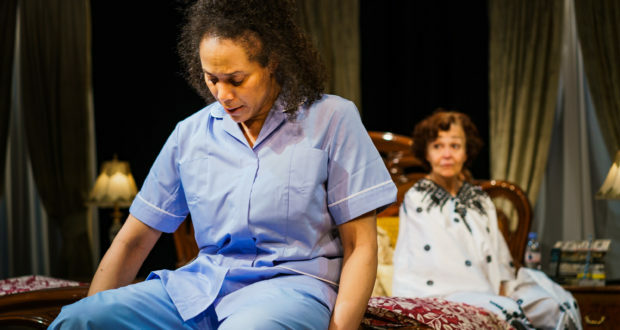 The characters and their relationship is so well-developed through Hutchinson’s writing that in my opinion the production has the potential to be seen on a much wider platform. Dead and Breathing rigorously tests our ideas of personal morality and takes its audience through every step of this intellectual, emotional and spiritual journey. A truly modern play with startling relevance that will resonate with audiences far beyond SE8.